There are a lot of “new normal” developments these days. Gasoline will always cost more than $3. Some segments of society, like teenagers, now only walk while texting. And, most people will hold the same job for a couple of years and then move on. An article published in Forbes magazine last year reported that a very high percentage of Millennials plan on keeping the same job for less than three years. This trend can prove troublesome for companies because high turnover costs in terms of retraining, recruitment and lost or diminished productivity. But, it’s not surprising that people born in the late 1970s/early 1980s — the Millennials or Generation X demographic — don’t stay in one place too long. After all, we’ve become a highly mobile society, and we get information on the run on mobile devices. Besides, what self-respecting, tattooed Millennial would want to toil years for some conglomerate when he or she could get funded through Kickstarter and launch a tech start-up? Yes, this was your father’s — at least, mine –“phone company,” once part of a monopoly called the nationwide Bell System that was broken up in 1984 following an anti-trust lawsuit by the federal government. Now retired, I asked Dan to share some thoughts on his career. Here’s an edited version. 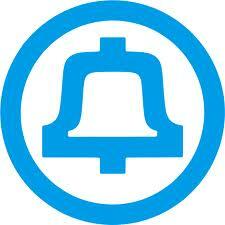 The Apprentice: A guy from the neighborhood worked at Illinois Bell doing light delivery. He said they were hiring, so I went downtown and took a test. I was over-qualified for that job, but did qualify for being a PBX (Private Branch Exchange) installer. I worked for about a month, but then I had to report for a draft induction. I went downtown for a physical at the Selective Service office and was told I had high blood pressure and a hernia, so I was rejected. I called my boss and went back to work. This was in 1970. I served a four-year apprenticeship, working with a journeyman, in the Humboldt District in Chicago. Then I got my union card and became a journeyman. We worked in factories, offices and retail outlets installing large switching equipment. We could be on the job from two weeks to eight months. The jobs required a lot of wiring. From Bell, to AT&T, to Lucent, to Avaya: After the 1984 divestiture, I went to work for AT&T. The equipment really improved and the jobs were a lot shorter in duration. In 1996, AT&T was spun off to Lucent Technologies. It was the same job, but for a different company. My benefits and 401k came with me. Then, I moved on to Avaya. Throughout my career, I was still a member of Local 134 of the IBEW (International Brotherhood of Electrical Workers). 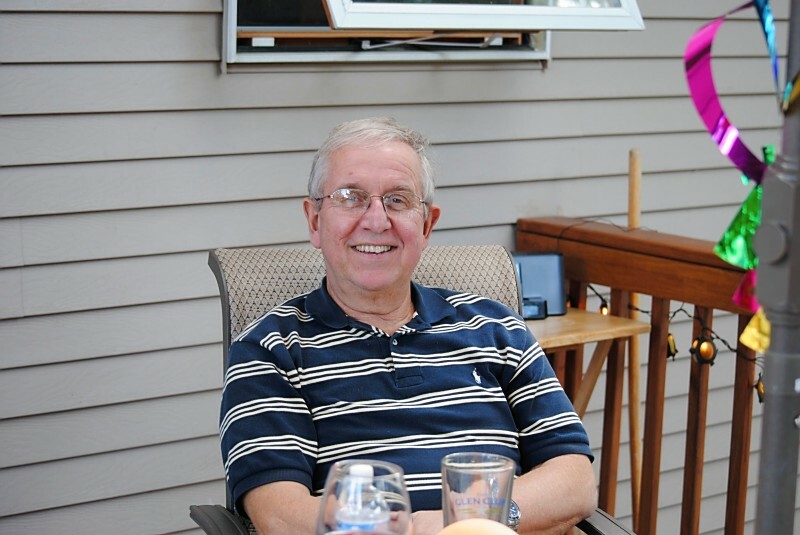 When I started at Bell in 1970, there were 2,600 guys in our local; when I retired in 2011, there were only 15 guys left. Back when I started, there were no other phone companies. You couldn’t get a job without a union card. Anyone who tried to get on a job without a union card didn’t have to be told to stay off the job; they just left. 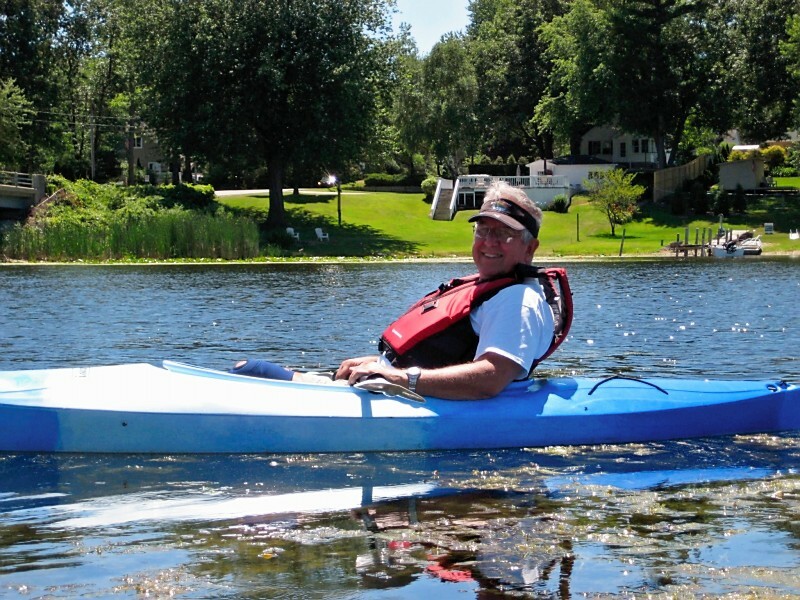 Now, Dan has more time to do things like enjoying a summer day in his kayak. From Hands on Training to Online. I took any kind of training the company offered. I’d get to leave Chicago to attend classes in Dallas, Denver, New York and New Jersey. The training certainly was better in my early days. Toward the end, the training was not that good, and it was mostly online. It’s hard for someone my age to learn online when I was used to learning on equipment that you could touch. Now, the younger guys are being trained on the new equipment, not the guys with 30 or 40 years of experience. If I had to look for a job in my field now, I’d have to be retrained because everything’s so much more advanced. The first equipment I worked on had switches that you’d plug into a port; now, you’d dial in and do the work remotely. Thoughts for Those Seeking a Career. If you find a job that you like, dedicate yourself to it. I never had the idea to move from job to job. I really enjoyed my early years with the phone company. I was not at the same desk day after day; there always was a change of schedule and meeting new people. The workplace today is much more cutthroat than it was before. I went above and beyond for some customers, and they still weren’t happy. Those are Dan Bury’s, thoughts on his career as a skilled technician. Drop us a line (I mean, “reply to this post”), with your thoughts. Do you plan to stay in one position for many years?